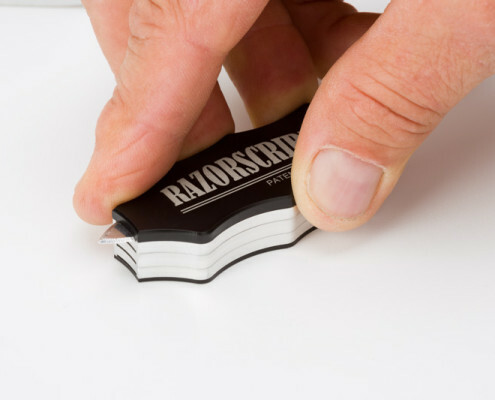 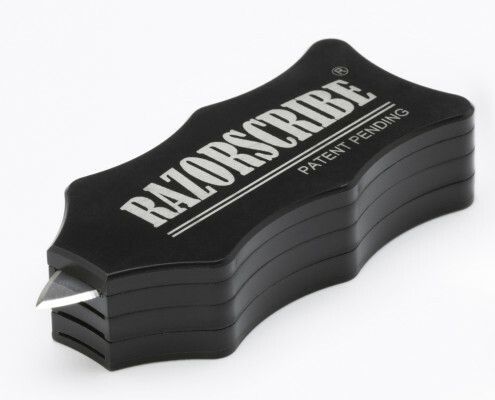 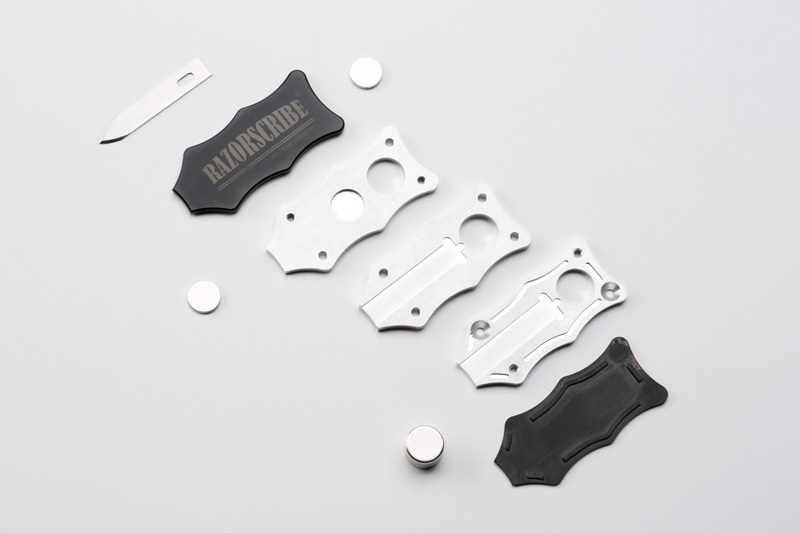 RazorScribe® is a multiple offset scribe tool that uses a blade to offer precision accuracy and easy removal of excess material. 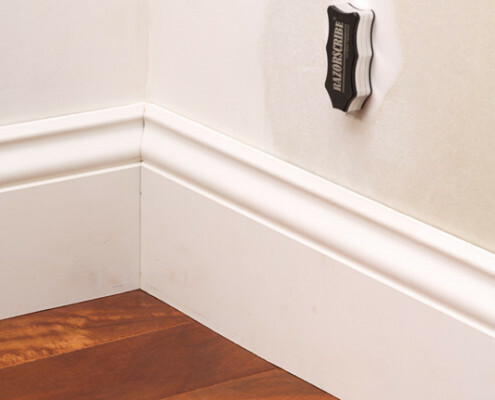 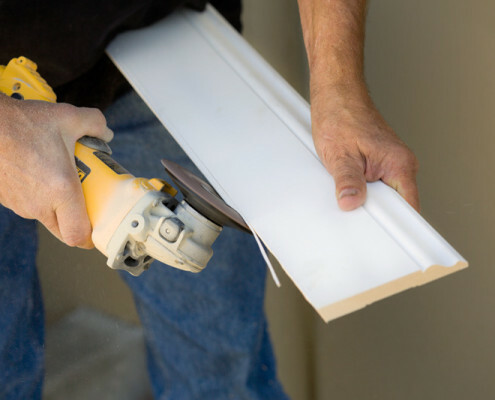 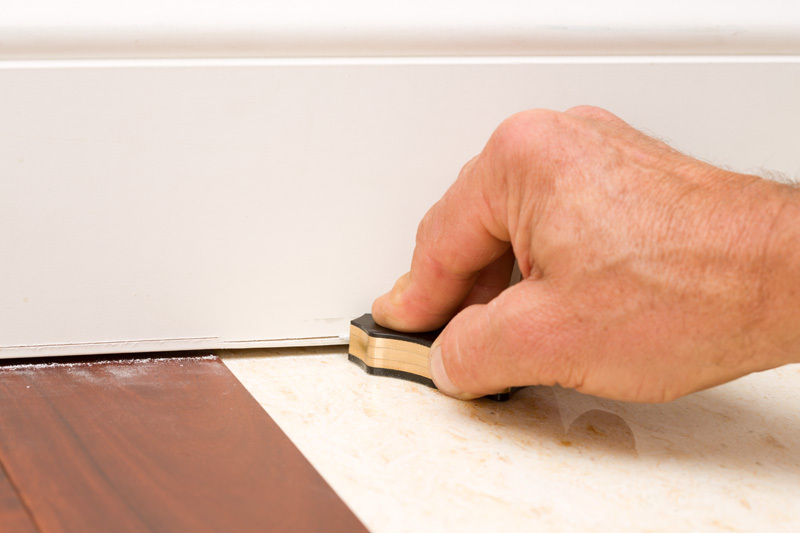 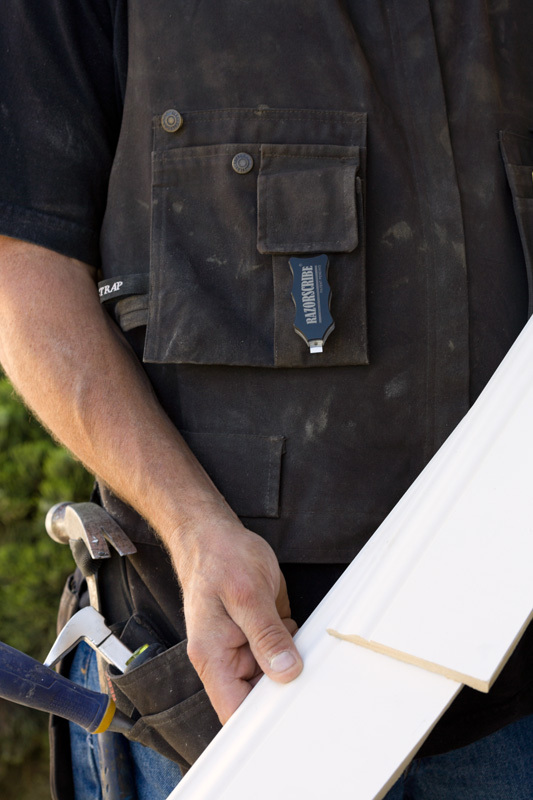 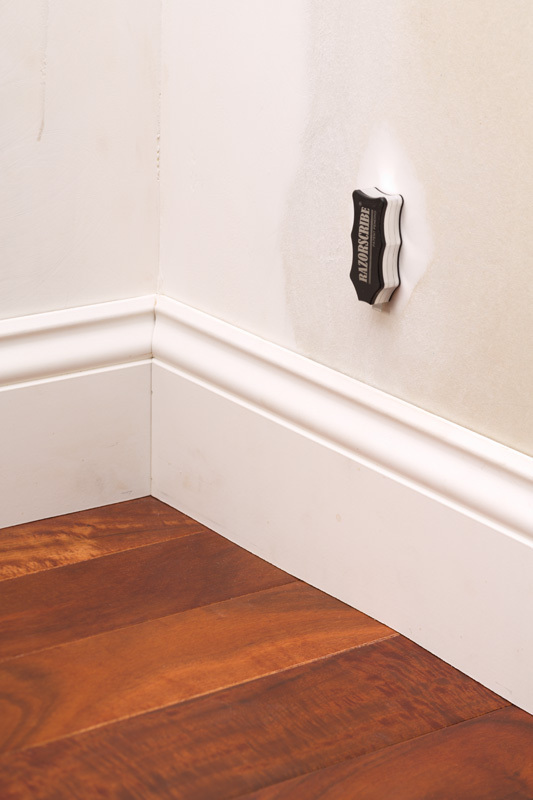 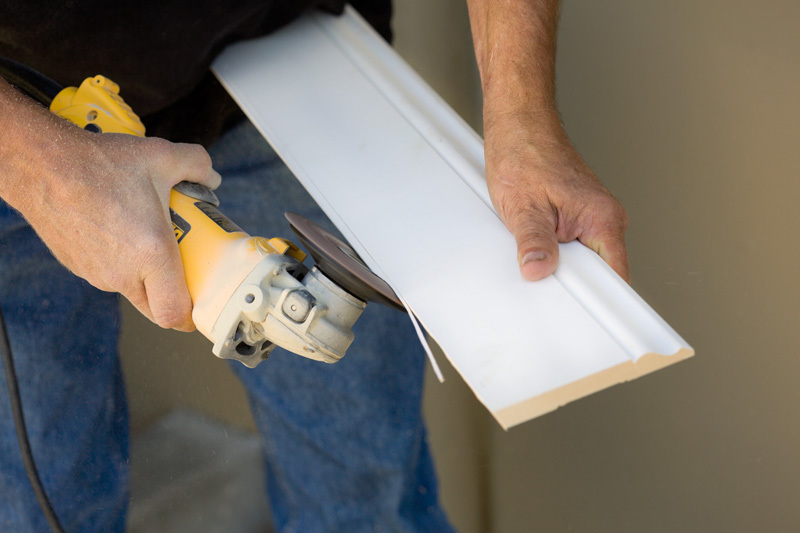 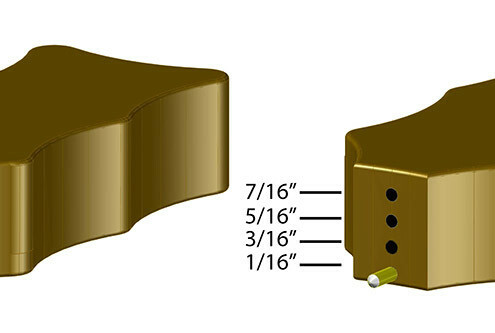 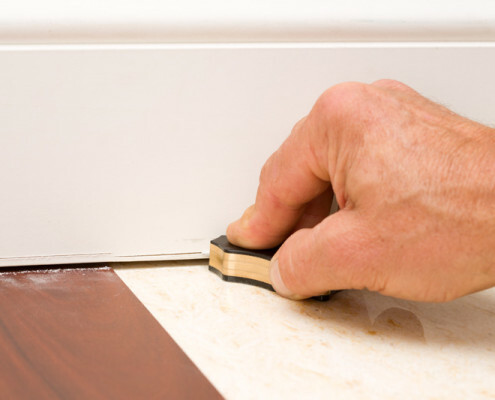 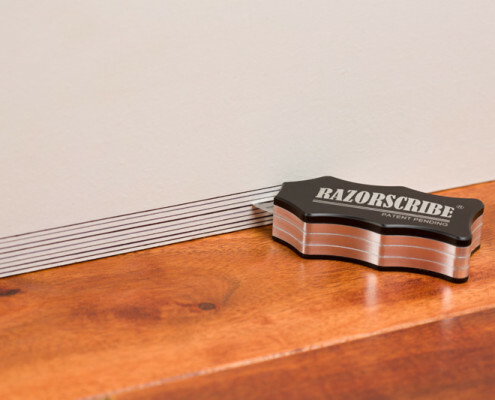 With 8 offsets in 1/16” increments, RazorScribe® cuts a distinct and precise line from 1/16” to ½”, significantly reducing chipping and ensuring a tight fit for installation of cabinetry, crown molding, baseboards, countertops and more. 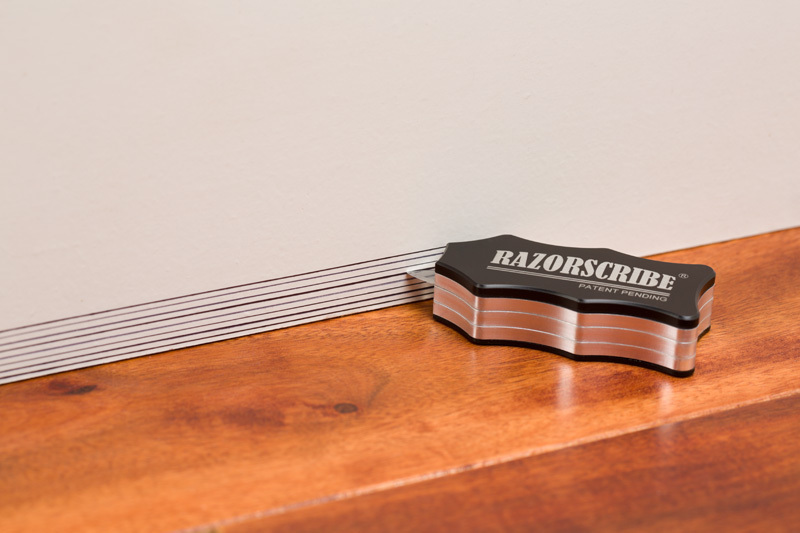 With RazorScribe® you can ‘set it and forget it’. 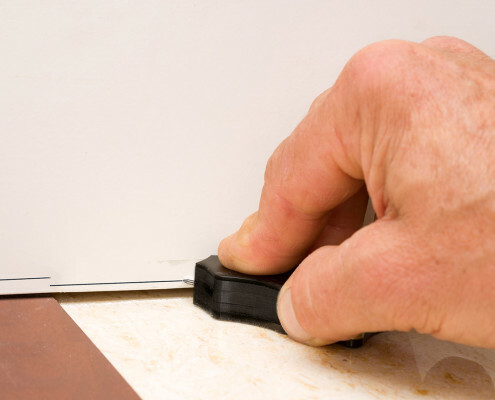 The offsets are designed to remain securely locked in place, assuring a precision scribe every time. 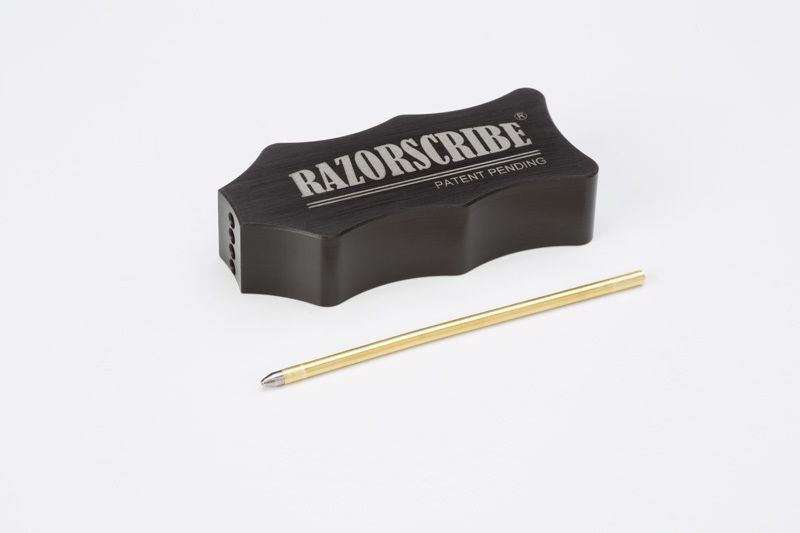 Its compact, innovative design enables accurate scribing in corners and hard-to reach (tight) spaces. 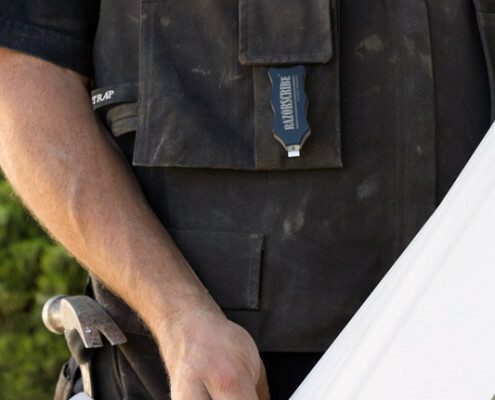 Available in both solid brass or sturdy yet lightweight aluminium, its innovative, ergonomic design is simple to use and dramatically speeds up installation. 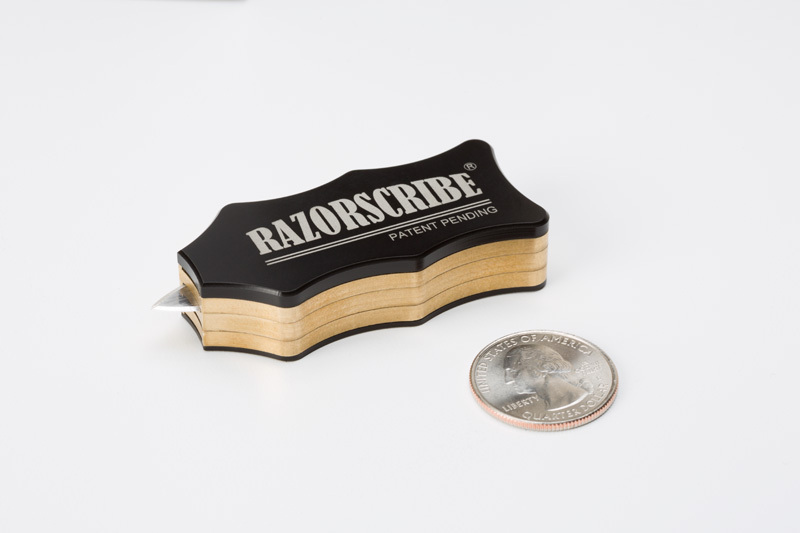 Less than 2 1/2 inches in length, this compact tool fits in most jean coin pockets. 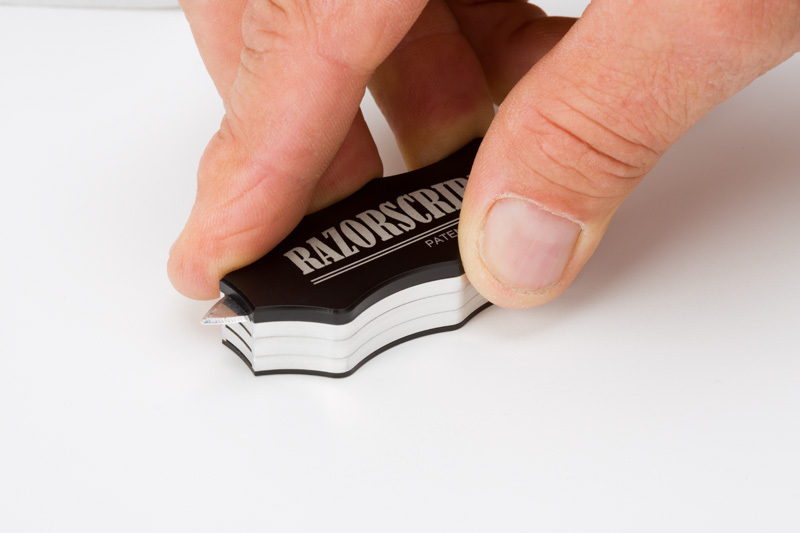 Strong magnets hold the scribing blades securely in place in both cutting and safety positions while conveniently doubling as a stud finder and allowing easy storage on magnetic work aprons. 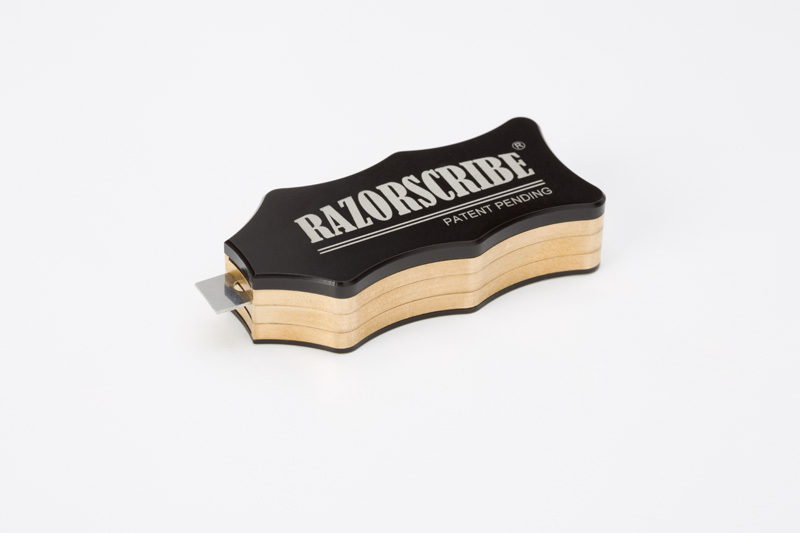 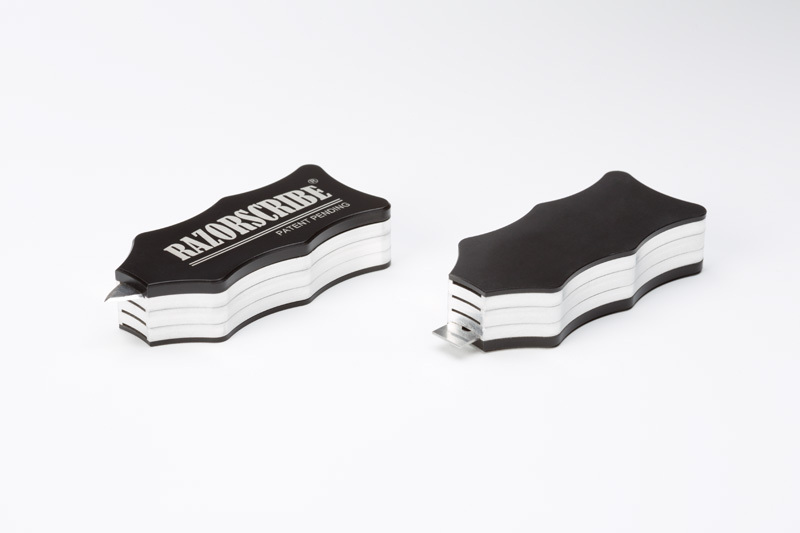 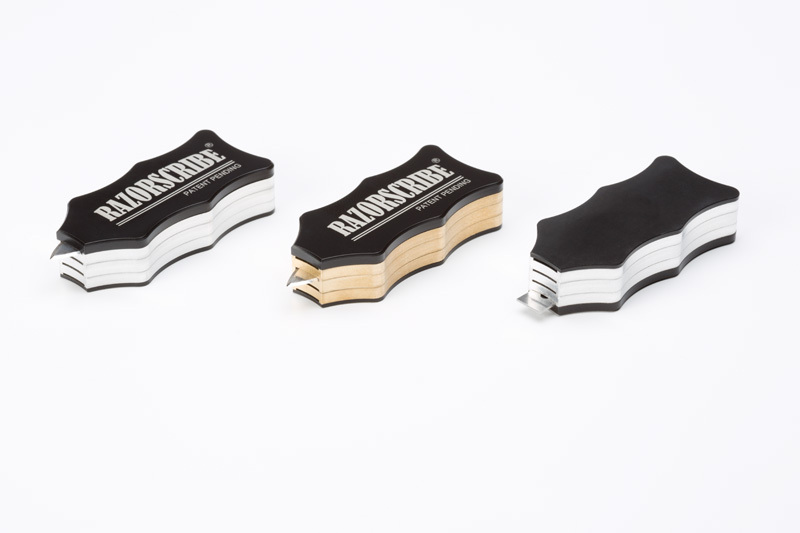 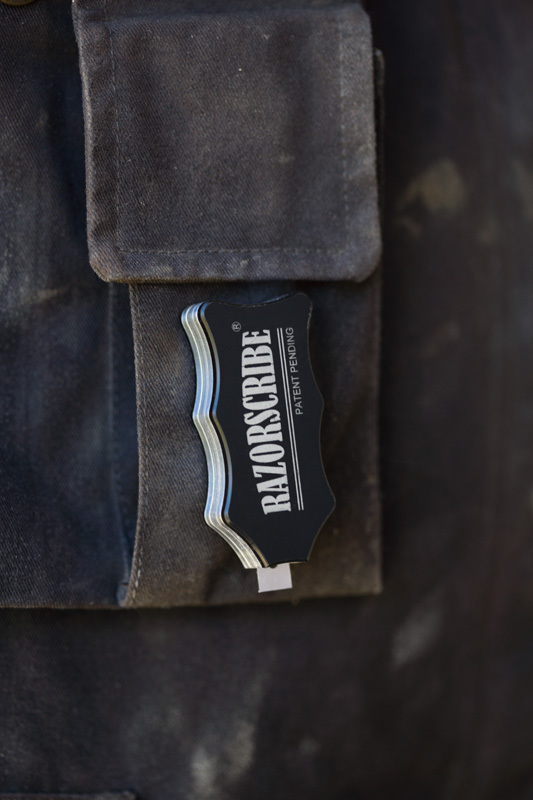 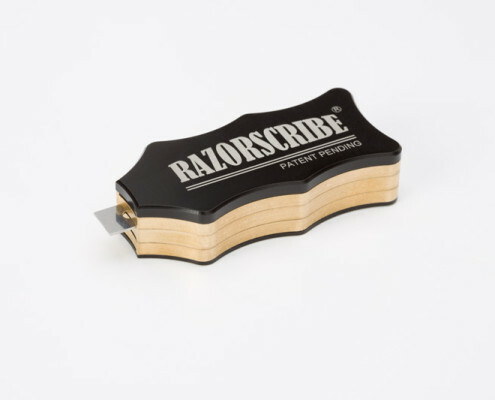 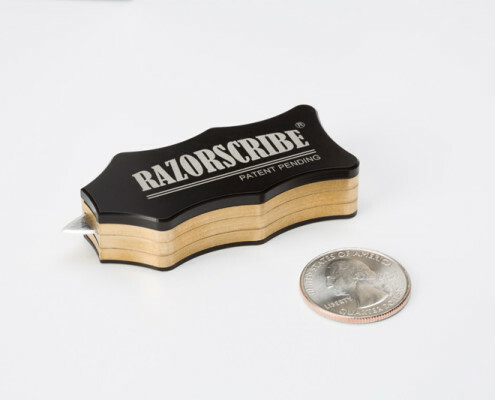 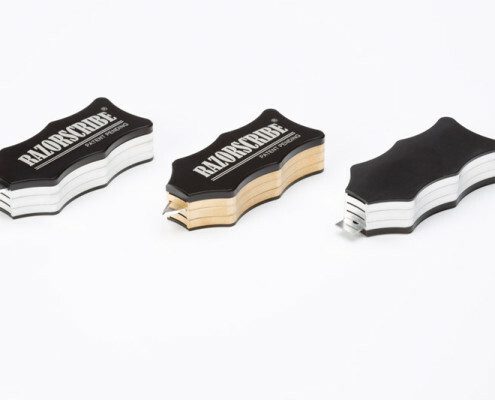 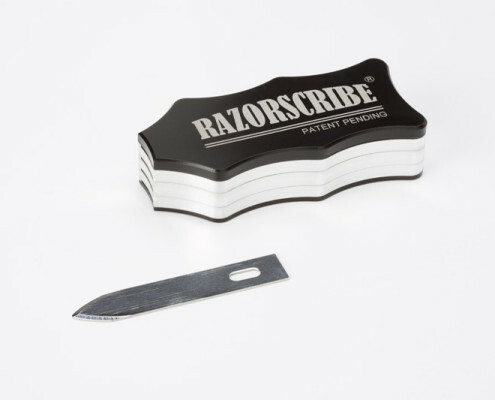 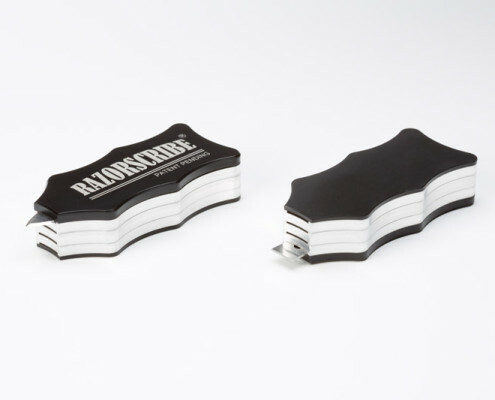 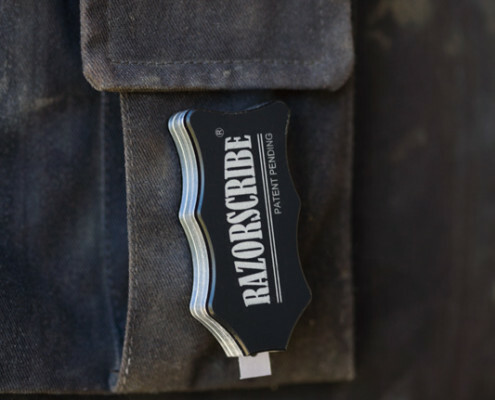 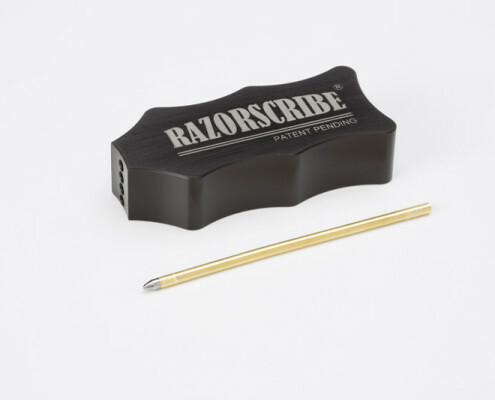 RazorScribe® effortlessly scores wood and laminate, reducing chipping and ensuring a clean, tight fit to any surface. 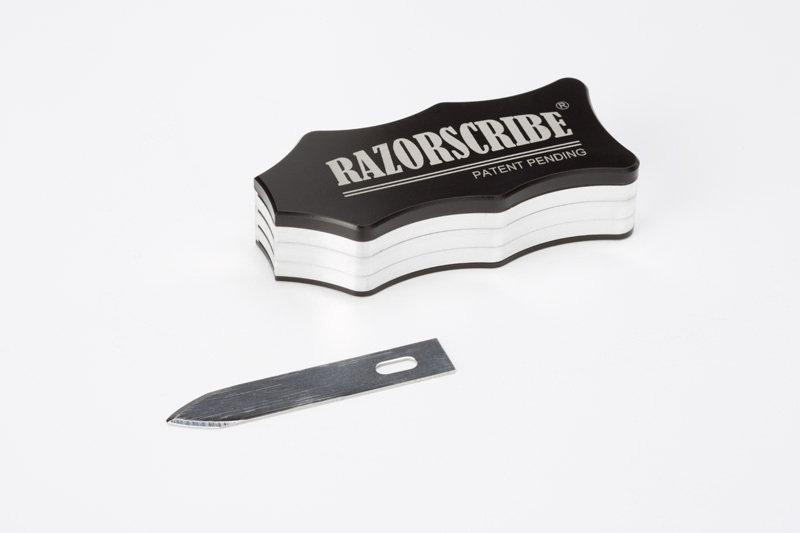 The blade is stored safely by placing the sharp end of the blade inside the tool when not in use. 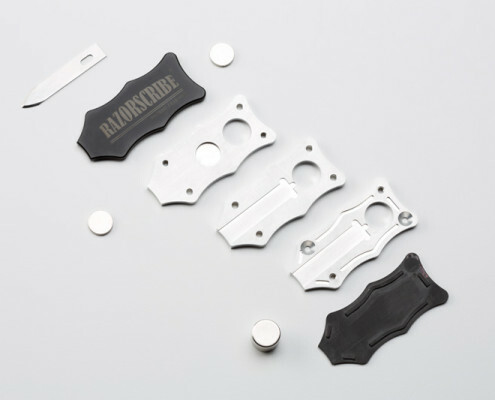 Replacement blades sold separately.